I’m not really feeling a super-long blog post today. It is really pretty outside and also my baby Minion cat has decided to start grooming the big Dexter cat (much to Dexter’s annoyance) and it is sort of adorable. It has been hard to focus on the blog with all this cuteness. So once again, a few links today about costumes. From Matador Life, 13 Super Creative Costume Ideas for Halloween. 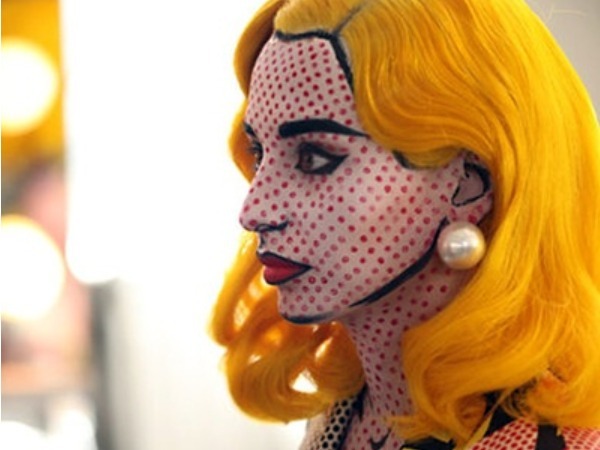 I especially love this woman who made herself look like a Roy Lichtenstein! 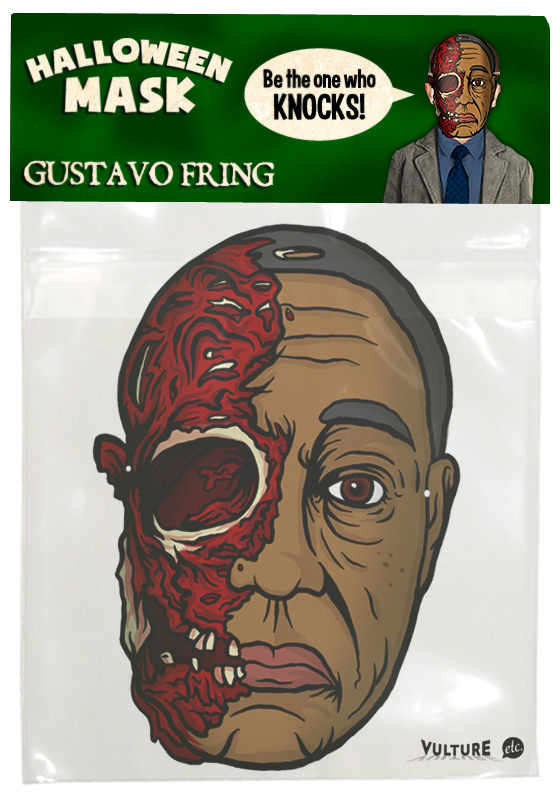 Be the One Who Knocks, a scary Gus Fring with his face blown off mask, was given to the world courtesy of NYMagazine (praise). You can download one for yourself, just print and cut it out! And in case you forgot what happened last Sunday night, here’s the world’s best GIF. Again click through to the link because, you know, major spoilers.